Speaking to the European Parliament on September 13, European Commission President Jean-Claude Juncker used his annual state of the union address to urge lawmakers to take advantage of the current economic momentum in the bloc, identifying a 12-18 month “window of opportunity” to push reforms through. The address, which is an annual opportunity for the president to take stock of the year and lay out his vision for the future, allowed Juncker to voice his opinion on the direction of the bloc’s fiscal reforms, after listening to member states put forward a number of conflicting proposals in recent months. 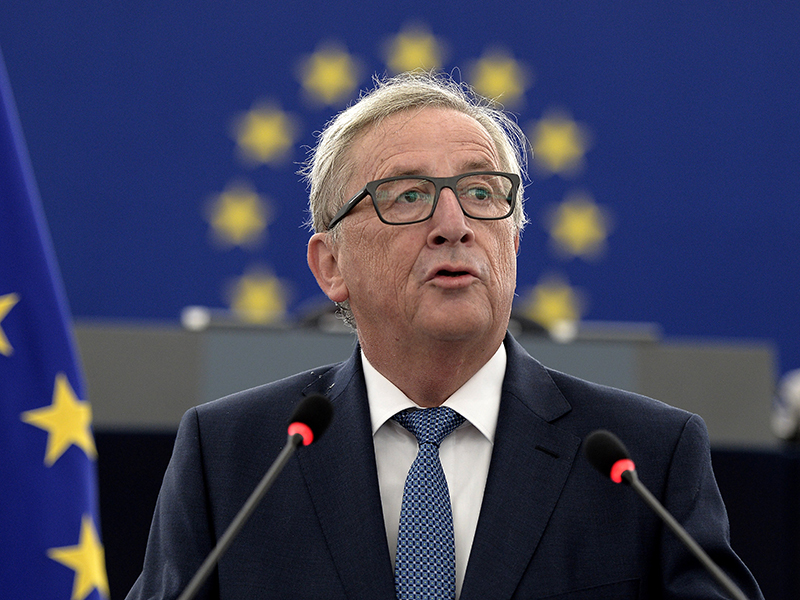 Elucidating his stance, Juncker called for European Union ministers of economy and finance to “coordinate all EU financing instruments and step in whenever a member state is facing the threat of a recession or fundamental crisis.” However, Juncker rejected French President Emmanuel Macron’s proposal for a separate budget with greater scope for fiscal transfers. Juncker did not dwell on the Brexit vote, saying it was “not the be all and end all”, and instead chose to focus on tax and trade policies, as well as expanding the borderless Schengen area and the eurozone. The president said it was “high time” Bulgaria and Romania joined the Schengen area – a move that would grant citizens freedom of movement within the bloc. Junker further promised to conclude trade talks with Mexico and Brazil, while opening up new trade negotiations with Australia and New Zealand. In a push towards more centralised power, he also argued for an end to national vetoes on matters of foreign policy and taxation.